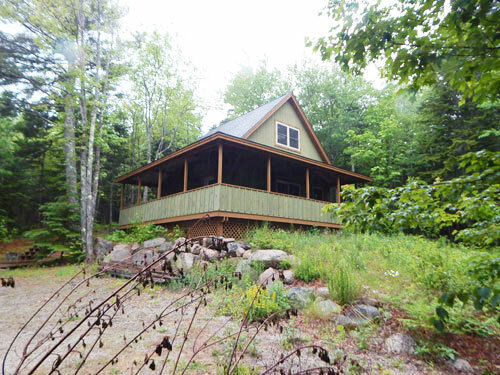 Canon Brook Ledge is a wonderful brand new cabin just outside the village of Otter Creek. The owners have lovingly built this adorable cabin using unique and repurposed wood native to Maine, giving it a warm and inviting environment. Beautiful woods surround the cabin. 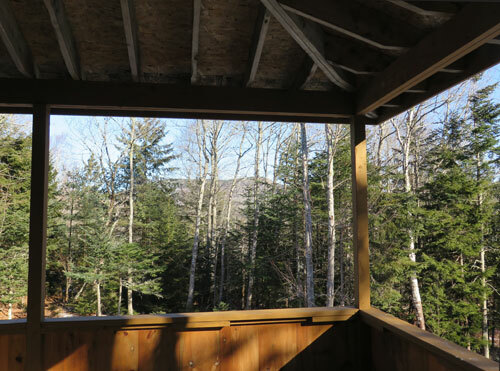 Every room has a lovely wooded view, and Champlain Mountain can be seen from the porch, kitchen and loft! Acadia hiking trails (South Ridge of Cadillac Mountain, Canon Brook Trail, Quarry Trail, The Ladder Trail, Eagles Crag, Beachcroft Trail, Dorr Mountain) are a mile or so in either direction! Downtown Bar Harbor is just a 6 minute drive where you'll enjoy wonderful dining and shops! 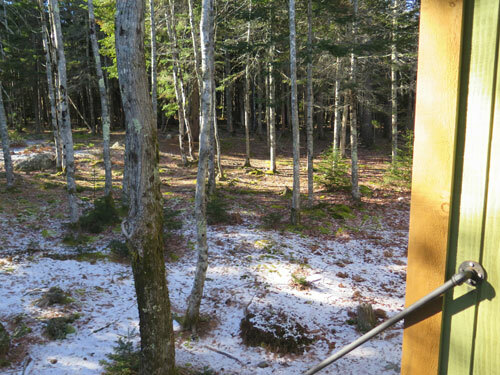 Have your morning coffee on the porch, take in the fresh wooded air, and sleep in a quintessential Maine cabin at Canon Brook Ledge! The cottage features, on the main level, a small sitting area, gorgeous kitchen with bar/dining seating, queen bedroom and full bathroom. The loft on the upper floor features a queen bed and sitting area with TV. Amenities include A/C (heat pump), gas BBQ grill, cable TV, WIFI, linens, microwave, coffeemaker. Click here for more complete list of household items/amenities. Bar Harbor and Acadia National Park offer visitors a variety of activities, including hiking, biking, boating, lake swimming, carriage road walks, horse back riding, deep sea fishing! Visit the Abbey Museum, sail on the Margaret Todd, take a Jackson Lab visitors tour, enjoy tea and popovers at the Jordan Pond House, golf at a PGA top-rated course, play tennis. Kids activities include water park, miniature golf, beaches, and lots of ice cream shops!